For many, fulfillment comes with retirement. Having worked tirelessly for many years and finally being able to enjoy the benefits of your life’s work, retirement is something many people look forward to and enjoy. 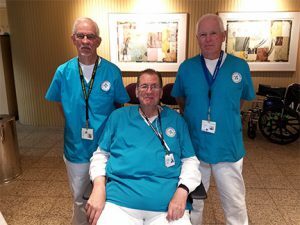 But for others, such as John Moriana, John Myers, and David Greenlaw, fulfillment instead comes with the opportunity of being able to help others in their community, by way of volunteering at Sutter Delta Medical Center in Antioch. “I started volunteering at SDMC about 6 years ago,” said Myers, a resident of Brentwood. “I saw an ad in the newspaper and called about the position. It sounded fun.” Myers, a 14 year resident of Brentwood, previously worked in various IT positions in an Oakland based firm. After spending 46 years working in IT, Myers still finds great satisfaction volunteering his services a few days a week. When asked how much longer they intend to continue volunteering, all three said they have no plans to quit anytime soon, talking about how much it means to them to continue to help people when they can and how much they enjoy it. 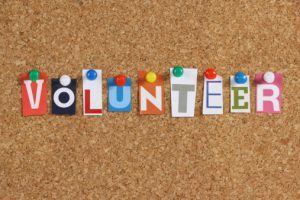 Sutter Delta Medical Center is currently looking for volunteers to assist with delivering meals to patients, directing hospital visitors and outpatients to their location for appointments or to see their loved ones, and occasionally assisting with patient discharges.